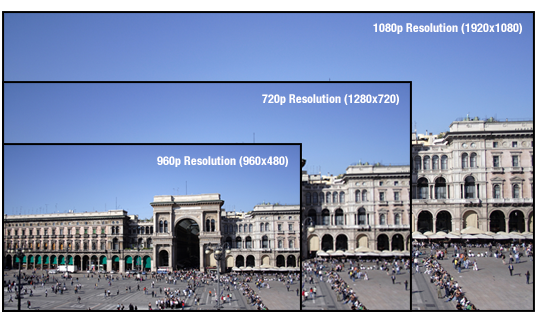 Crystal-Clear Images at Up to 30fps. MEGApix® cameras feature state-of-the-art user-friendly technology providing unbeatable crystal-clear megapixel video. 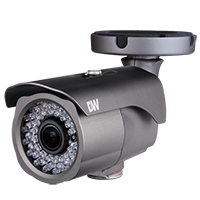 DW®'s IP cameras include Power over Ethernet (PoE), Plug and Play convenience and an intuitive web-based UI. 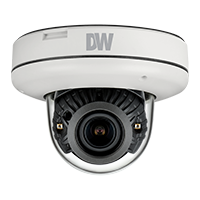 DW® cameras remove the complexity of network powered devices while delivering superior image quality. DW Spectrum is a powerful and user-friendly IP VMS, highly optimized to provide unlimited scalability, unmatched bandwidth savings and simplified system setup and management. DW Spectrum offers a cutting-edge User Interface (UI) with features such as unlimited scalability, unmatched bandwidth savings and simplified system setup and management. 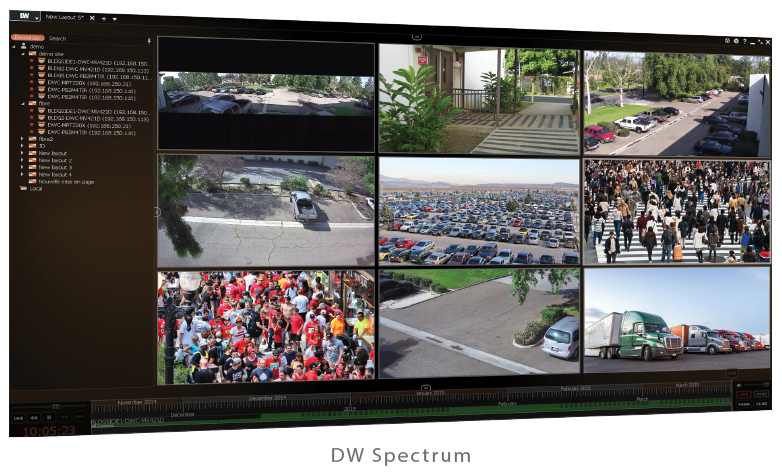 DW Spectrum offers a cutting-edge User Interface (UI) with features such as unlimited layout designs and smart network bandwidth auto-adjust. 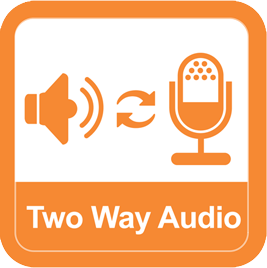 DW Spectrum is easy to use, fast and powerful. All MEGApix Cameras offer true HD 1080p (1920×1080), 2.1 Megapixel streaming and recording resolution. A universal protocol that allows IP cameras to communicate with other manufacturer’s recorder. 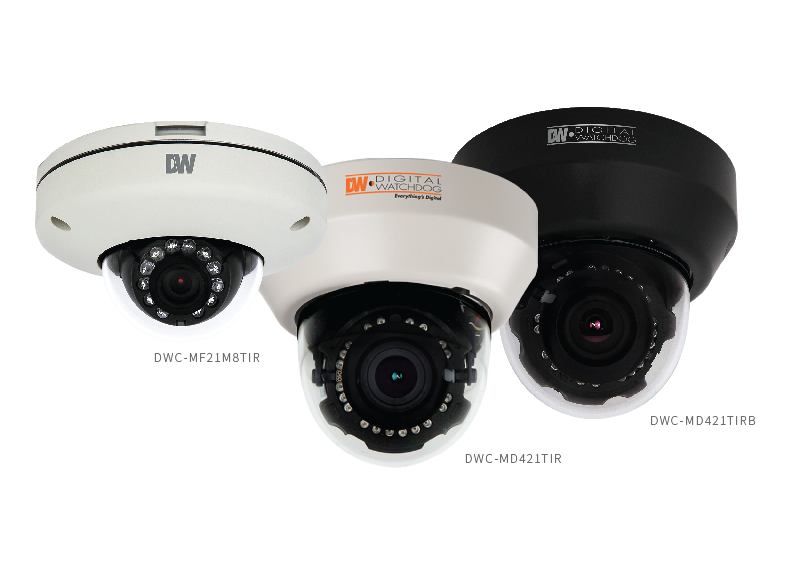 DW®’s entire MEGApix camera line is conformant with the latest ONVIF protocol for increased flexibility and reduced total cost. All of DW’s MEGapix cameras support PoE. This feature enabled the camera to receive power via the same network cables it uses to transmit data and video. This simplifies the installation process, requiring only a single cable to power up, configure, and control your camera. Using a delicate yet powerful zoom lens controller from the camera’s web-based UI, the camera provides crisp and clear images at all times with its unique remote Auto-Focus zoom. Multiple Codecs with Simultaneous Dual Stream. The MEGApix Cameras support two- way Audio for communications running between the camera’s web-based UI and the camera’s location. 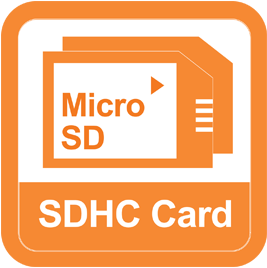 MEGApix cameras come with built-in micro SD card slot for emergency backup. When the camera detects network loss, it will start recording locally. All MEGApix cameras offer the comfort of a secondary BNC video output on the board of the camera. This allows the installer to connect a regular BNC cable to the camera during the installation, guaranteeing the proper mounting and setup on the spot. Digital Wide Dynamic Range technology uses the camera technology to capture an entire scene in challenging lighting conditions. The camera digitally adjusts the exposure to the dark areas and the bright areas at the same time, capturing both areas with no loss of detail. 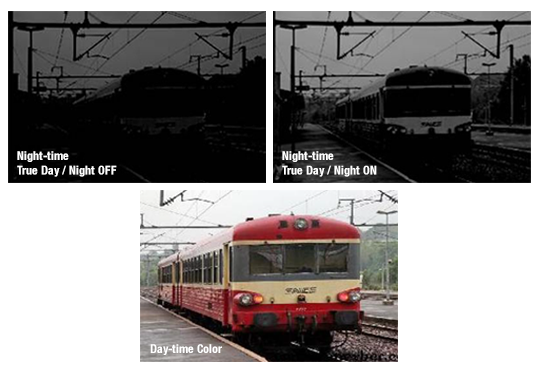 Smart DNR™ 3D Digital Noise Reduction increases the camera’s clarity in very low light environments by using a unique algorithm to clean electronic noise signals that can reduce the camera’s visibility and trigger false motion detection events. 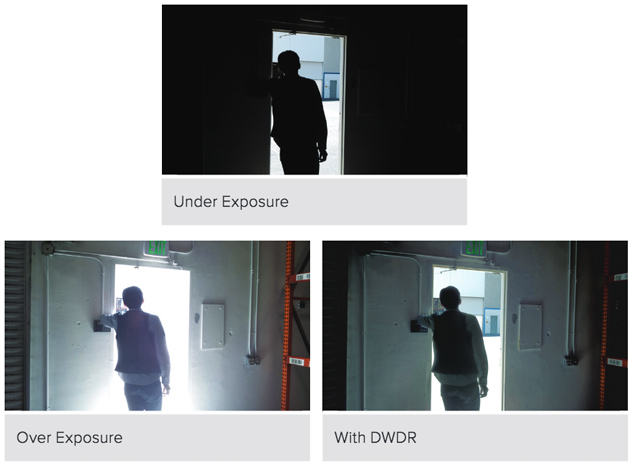 DW®’s special noise reduction technology allows the camera to produce clearer images in both color and B/W in low light without creating lag or ghost effects in the image. To get a better image at night, the camera turns on IR cut filter glass when it detects a specific color data in the environment. When this occurs, the image will turn from Color to Black-and-White and vice-versa. Masks overly exposed light to produce a true video image in any environment. Smart IR™ adjusts the image for IR cameras to eliminate LED light reflection and white spots in the image. By breaking down the camera’s field of view into five zones, Smart IR allows for even distribution of the IR light. This prevents excessive illumination on images that are in the front of the scene and offers a clear image in B/W without any loss of detail.